Our winemaking is very simple. We don’t sort the fruit in the winery. We prefer to sort in the vineyard. Before harvest, we walk the rows and remove any fruit clusters that aren’t up to our standards, including any clusters with raisined berries or uneven ripening. We don’t use whole clusters. 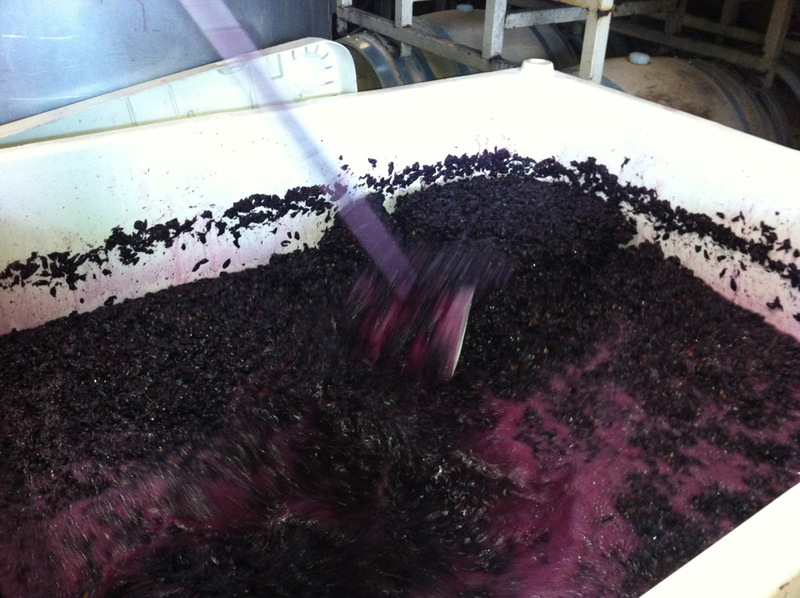 We destem the fruit, although a few stem fragments make it into the fermenters along with the whole berries. 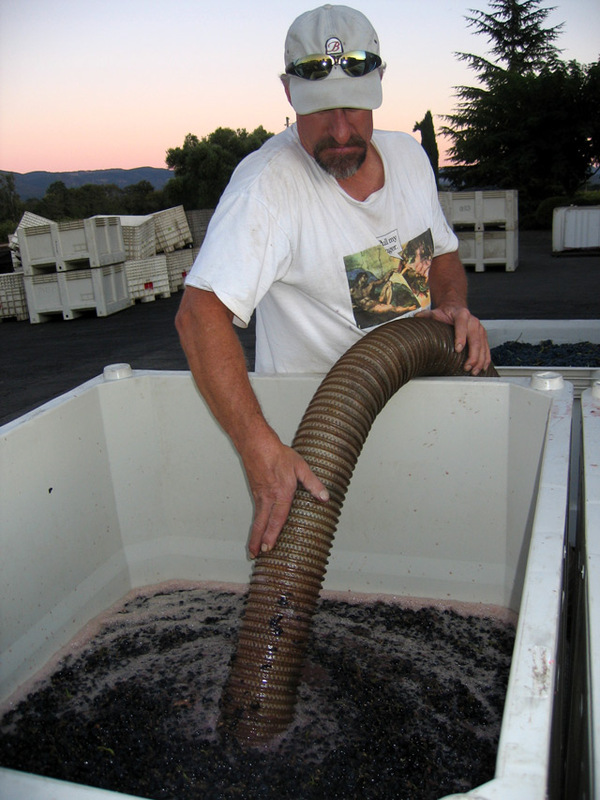 We ferment the wine in food-grade plastic T-bins. These double-walled containers provide enough thermal insulation to keep our fermentations not too hot, not too cold — just right. We punch down two or three times a day. The fermentations typically finish in eight or nine days and we don’t do any extended maceration before we press and barrel the new wine. We use only neutral French oak barrels. No new oak. We buy barrels that have already been used three times and then we continue to use the barrels until they begin to fall apart. 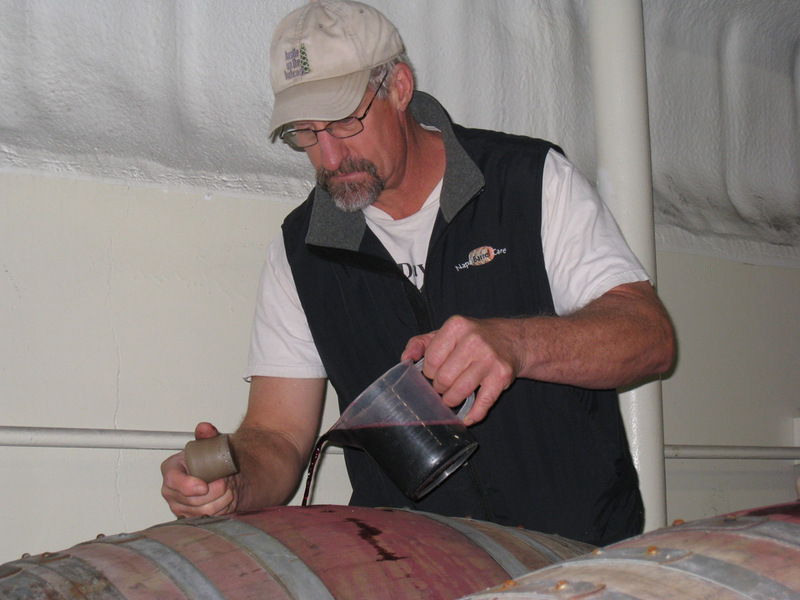 The wine stays in barrel for 18 to 20 months, during which time we rack twice. A few weeks before bottling, we fine with egg whites and then, just before bottling, rack one last time. The wine is unfiltered. Its clarity comes from very careful racking.